The latest add-on Motorola’s Moto Z line brings some serious photo taking gravitas to the compelling modular offering. 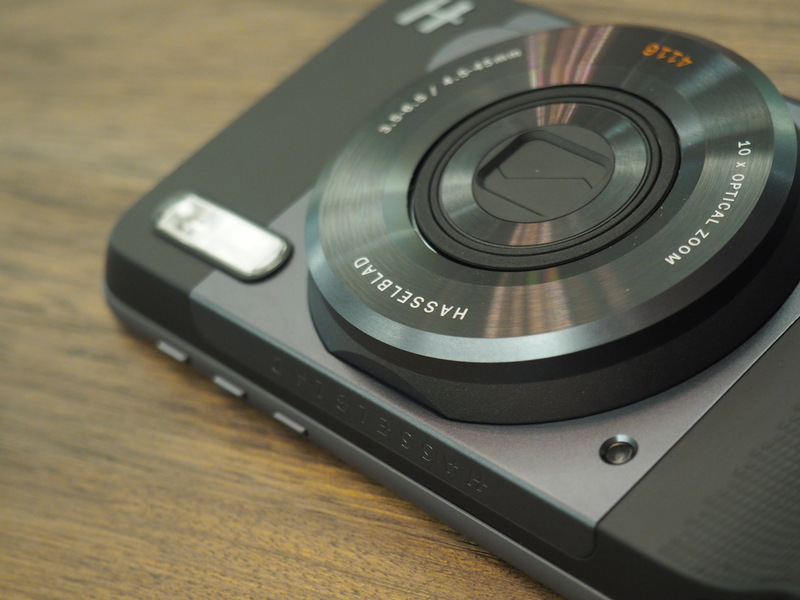 The Hasselblad True Zoom essentially turns the handset into a skinny camera with an enormous 5.5-inch viewfinder. Given everything we know about our friends at Hasselblad, it’s no surprise, really, that the modular backing is a really lovely looking bit of hardware. It’s got a classy matte black finish and a textured bump grip that makes it possible to hold the thing with one hand (though I found myself holding it around the edges, as you do a standard phone). 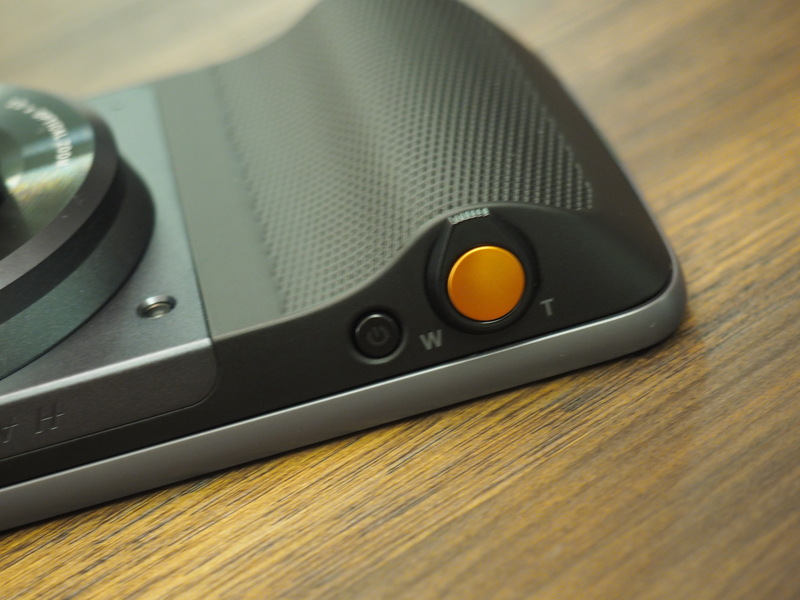 There’s a power button up top and a combo shutter/zoom. Up front is a big Xenon zoom and in the center, a beefy lens with a 1/2.3-inch BSI CMOS sensor. The zoom is 10x optical and extends accordingly. It’s a fairly insane zoom for a mobile device, and holding down the shutter will autofocus the subject matter. It works well in low light and does a pretty stunning job with macros. All of the connection occurs via the port, which means you don’t have to worry about Bluetooth syncing. The connection also means that the camera runs directly off of the phone’s battery, and as such, the add-on won’t work from the battery gets too low. It’s a compelling addition to the Moto ecosystem, and along with the battery pack and JBL speakers. In fact, it’s perhaps the best argument for Motorola’s burgeoning modular offering yet.